Ads Not by this Site Virus is actually an adware program that affects all main browsers including Google Chrome, Mozilla Firefox and Internet Explorer. It constantly displays a message that starts with "Ads Not by this Site". This adware is closely related to a browser extension called Vid-Saver. Therefore, in order to get rid of the annoying pop-ups from Ads Not by this Site Virus, you should also remove Vid-Saver from your PC. The official feature of Vid-Saver browser extension is to help you download YouTube videos. However, once you install the add-on your PC, it also means that you agree with its EULA, thus allowing a third party to monitor your web browsing activity. Not to mention that you are also assaulted by Ads Not by this Site Virus that displays commercial advertisements based on the data of your web browsing habits. To avoid being monitored by a third party and to stop the constant flow of annoying pop-up notifications you need to remove Ads Not by this Site Virus right now. If you think that you have been infected by Ads Not by this Site Virus because you constantly use Facebook and other social websites, that is only partially true. The adware may come bundled with freeware from a third party website. Or you may receive a socially engineered message that urges you to click an outgoing link. You need to be shrewd enough to discern between messages from your friends and these fake spam messages that want to infect you with malware. To see exactly what malicious files are present on your PC, you should perform a full system scan with SpyHunter free scanner. 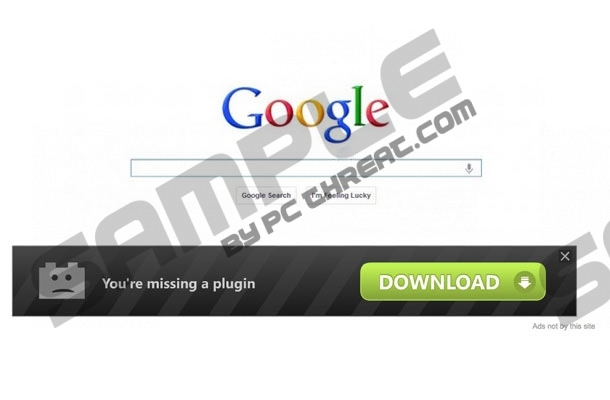 When you know where these dangerous files are located, you can remove Ads Not by this Site Virus manually. However, keep in mind that manual removal is not recommended unless you are an experienced computer user. If you are not sure how to work with Registry Editor, you should invest in a reliable antimalware tool and remove Ads Not by this Site Virus from your computer automatically as soon as possible. Quick & tested solution for Ads Not by this Site Virus removal. Ads Not this Virus processo to kill.